Lately I’ve conducted quite a bit of research with agency owners, mainly to identify their biggest concerns, problems or frustrations. Based on this research and my decades of helping agencies grow and become more profitable, I’ve developed a list of essential questions that I believe agency owners need to answer. Knowing the answers to these questions can become the foundation of your annual strategic business plan (which over 80% of agencies don’t have). In this column, I’ll discuss some of those questions, the issues they typically raise and my suggestions for how to address them. How will my agency differentiate? Your only real defense against technology and commoditization is the risk advice you offer your existing and future clients. Differentiation starts by telling your story. Why and how are you different? What’s your unique approach? In our ProducerFit program, we talk about Purpose, Process and Payoff. What are your Three Ps? What is the Purpose of your unique approach? What is the Process you take your prospects through? (Look, Copy, Quote and Pray is not a process! It’s hysterical activity on the way to the grave.) What is the Payoff for your prospect? It answers the question foremost on your prospect’s mind: What’s in it for me? Although storytelling is something of a lost art, it’s more important than ever in our industry. What’s your story of differentiation? This is more than a 30-second elevator speech. It’s more like a two-minute infomercial that highlights why people should buy from you. The key to telling your story is to be concise and succinct. In other words, make your story short and sweet. That’s not as easy as it sounds, as suggested by the following that I once read: “I’m sorry this memo is so long, but I didn’t have time to write a short one.” How true! Writing with brevity is difficult and time consuming, as I know from first-hand experience. 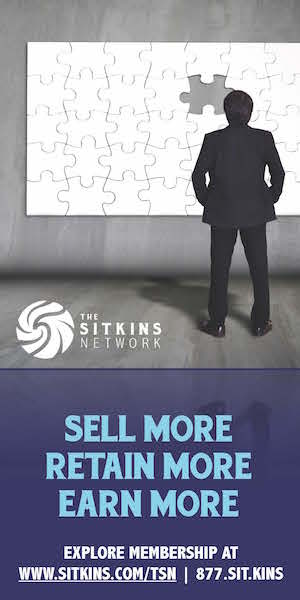 Recently my company produced a two-minute video for our new private client group, The Sitkins Network. It began as a 23-minute presentation! Our initial goal was to cap it at 18 minutes (the maximum length of the popular “Ted Talks”), but even after whittling the length to 15 minutes, we decided it was still too long. Day after day, the coaches and team worked tirelessly to boil down a substantial message into a highly compressed finished product. It “only” took us a little more than one month to complete our two-minute message. Your story must be brief enough that everyone in your agency knows it, can repeat it, believes it and shares it. If not, they aren’t living it or delivering it. How do we pivot from transacting to risk advising? Don’t underestimate the impact of digital disruption on our industry. That’s the message I’m getting from the many senior leaders at insurance carriers whom I’ve contacted recently. In fact, they predict that technology will account for a growing number of consumer transactions, as today’s buyers increasingly rely on the digital marketplace. To its peril, our industry is not keeping up with this trend. While I completely appreciate the value of and the need for digital transactions, I also firmly believe that relationships still matter. They matter to the best agencies and to the kinds of clients they want to attract and retain. At the same time, I can’t ignore the very real threat that digital disruption poses to our industry. Because technology is constantly evolving, today’s apps and other digital tools will soon be obsolete and replaced with something new and improved. On the other hand, you and your advice are irreplaceable. Therefore, as an independent agency, your only real defense against technology and commoditization is the advice you offer your existing and future clients. Are you a risk advisor or a transaction facilitator? You and your agency won’t survive by transactions alone. You must provide risk advice and offer insurance solutions. How will we attract our next great producer or service person? Almost every agency principal I’ve surveyed recently has asked me the same questions: Where do we find good people? How do we attract the best producers and service staff? Here’s my first question to them: Is your agency an attractive place to work? Would it be on your community’s list of “Best Employers” or “Best Places to Work”? What’s your agency’s strategy for attracting and retaining the best talent? What sort of training and development programs do you provide? Do people work in teams or in organizational silos? Do you offer incentive compensation programs? Do you provide specific opportunities for growth/promotion? Are you hiring insurance talent or talent? There’s not a single person reading this article who was born with insurance knowledge. That’s something you can always teach. Focus on overall talent instead. Do you know what your future ideal team members look like? We often talk about future ideal clients, but what about future ideal team members? How would you define and describe them? You should be recruiting every day, not just when there’s a need. ing for in that future ideal employee. If they don’t have someone in mind at that moment, ask them to be on the lookout and contact you if they come across such a person. You’ll be surprised how well this technique works! How do we create overflowing pipelines? The goal of creating overflowing pipelines is simple and something you’ve heard me discuss countless times before. In fact, just last month I wrote about the importance of filling your pipeline with future ideal clients—not suspects and prospects. But how do you create inbound leads? How are you using social media? What are you doing with blogs and info-marketing? The point is to create interest in your agency, products and services by providing insurance-related information on a regular basis (weekly, biweekly or at least monthly). Another tried and true avenue to overflowing pipelines is through referrals. I know—ho hum—but are you doing it? The same goes for centers of influence. We refer to them collectively as COIN (Centers of Influence Network). Does every one of your producers have at least 10 COIN members, and are they doing something with each of them at least once a quarter? That may sound boring, but it works! Similarly, producers should be out in the community, networking as often as possible. How do we maximize our technology? I just invested a day and a half with my content partner on The Better Way Agency. Angela Adams is the best I’ve ever seen when it comes to maximizing automation and technology in internal agency operations. I asked her to update me on how well the average agency is using its automation system and related technology. In the past she’d tell me the number was just under 50%. But I figured the percentage was higher now because of ongoing developments and advances in technology. You can imagine my shock when she gave me the updated percentage: Less than 20%! That’s like paying an employee full-time wages for showing up only 20% of the time! Now let’s say you have anywhere from $100,000 to $500,000 invested in technology, but 80% of it is not being used. What’s wrong with that picture? Still, so many agencies wonder why their revenue per employee is not skyrocketing. In theory, it should be. 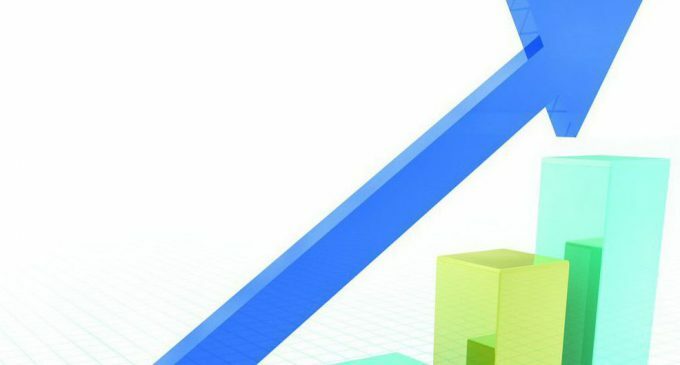 With all the technology and the increase in the number of transactions being handled digitally these days, you’d think that revenue per employee would be up dramatically. One of the main reasons it is not is that agencies are investing in technology that they’re not using. What really concerns me is that most agencies aren’t doing anything about it, even though the solutions are fairly straightforward. For instance, do you provide ongoing training for producers and service people? Do you monitor individual usage? (There are programs and services to track and analyze that, you know.) Is your agency active in its system’s user group? How do we enhance our social media presence? Who’s your SEO manager? From personal experience, I can tell you it’s amazing what’s happened to us at Sitkins since we added an SEO manager to our team one year ago. 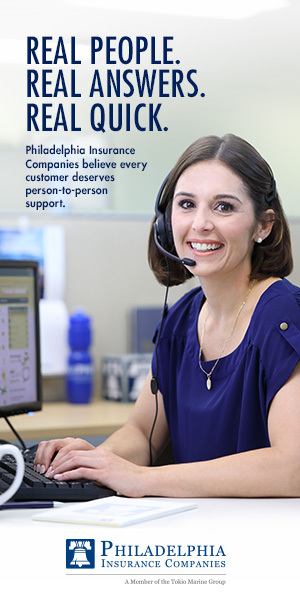 Thanks to her expertise, our name is consistently at the top of numerous insurance-related searches. Strategic use of the right keywords will boost your agency’s visibility in the marketplace (both virtual and actual), giving you an edge over your competitors. How do you rank in keywords in your marketplace? Do you even know? Another important aspect of social media involves your online image, both personal and professional. If you’re a producer calling on business owners, you need to be especially careful about what you post. Remember, it’s likely that the new prospects (future ideal clients) you meet with have checked you out on LinkedIn and Facebook to see what you’ve posted. You don’t want to look like an idiot! That’s why I strongly suggest that agencies establish a formal policy outlining what employees should and should not post. Those are just a few of the essential questions that agency owners should be able to answer. Next month we’ll discuss the remaining questions in Essential Questions for Agency Leaders: Part 2. I sure do hope you have the answers as part of your overall agency plan, but as always, it’s your choice. DIGITAL DISRUPTION: ARE YOU READY?